The rescue of Sophia and Rosita. 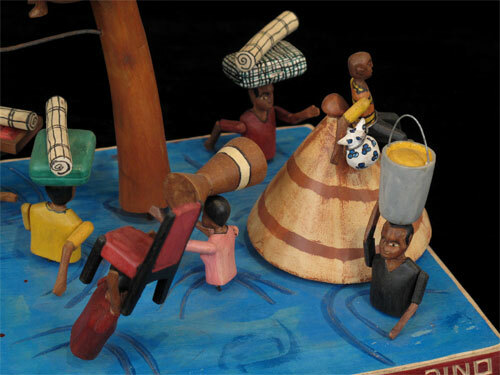 Please bid for Flood Relief in Mozambique, Malawi and Zimbabwe. 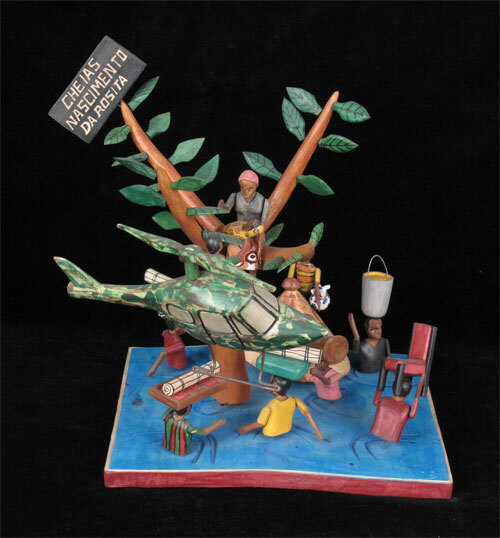 This sculpture by the Mozambican folk artist Dino (Camordino Mustafa Jetha) commemorates the terrible floods that devastated Mozambique in 2000. It tells the true story of Sophia Tedro who took refuge in a tree when her village was flooded. 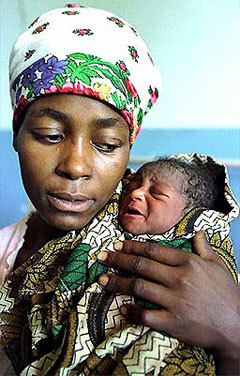 She gave birth while in the tree and waited with her newborn Rosita until they were rescued by helicopter. The following photo of Sophia and Rosita is from the March 2000 reporting in the Guardian (UK). The event has since entered into Mozambican folklore. 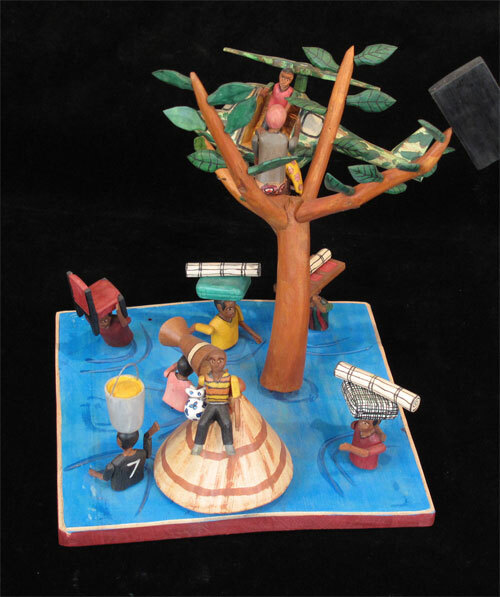 As Mozambique and the surrounding countries are again flooded by Cyclone Idai with a terrible death toll, we are offering this sculpture for bid for the benefit of cyclone relief in the region. We are taking bids, starting at $500 till the end of March. The full proceeds will be donated to Doctors Without Borders/Medecins sans Frontieres and Partners in Health, two organizations with an excellent track record which are working in the region. If you can’t bid on this, please contribute directly! 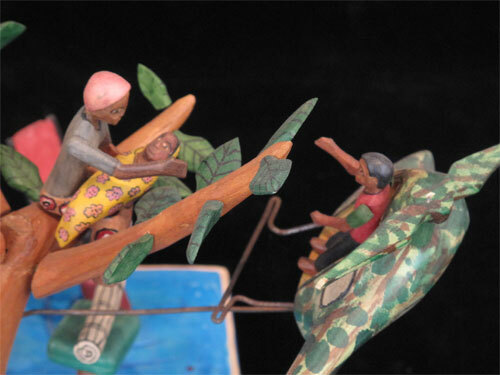 You can see details of the piece on this website at https://indigoarts.com/cheias-nascimento-da-rosita-flood-birth-rosita, and message or email us with your bid through the website, Facebook or Instagram. Floods of 2000 in Mozambique. 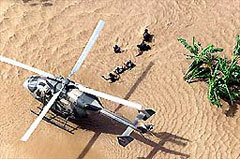 Helicopter rescue in Mozambique (photo from The Guardian (UK), March, 2000). Sophia and Rosita after their rescue (photo from The Guardian (UK), March, 2000).